Since I didn’t get the chance to write about many of these games on videolamer, this is sort of a 2012-as-reviewed. Apologies if it’s a bit much; I’ll try to keep my impressions brief. These are all games that stand out to me, in either a good or a bad way. Some of them were released in 2011, but as a fellow gaming peon (no review copies for videolamer) I didn’t acquire them until this year. Games appear in rough chronological order. Overall, 2012 has been a really great year for video games. Personally, I’ve been trying to limit the growth of my backlog while completing as many new and interesting games as I have the time for. What I found surprising was how well-represented the JRPG genre has been, as they have seen releases on consoles, portables, and even PC. I barely played Anno 1701 on DS, partly because of its slow pacing and partly because I felt like I was playing a PC game with a console interface. 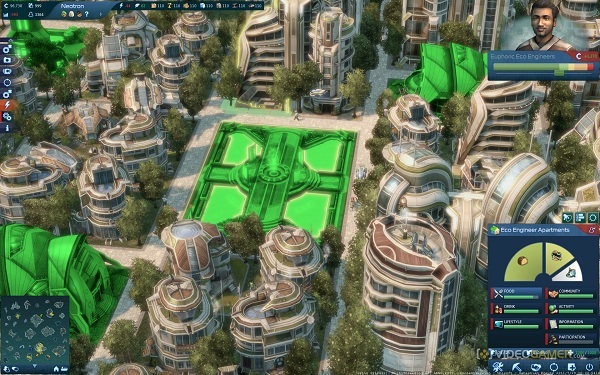 Anno 2070 fixes both issues: the first with a fast-forward button, and the second by actually being a PC game I could get my hands on. Anno 2070 is a post-global-warming based game which puts the Tycoons, who wish to harvest resources aggressively and build a strong corporate-based global economy, against the Ecos, who basically do the same thing but feel better about it since they drink tea and eat sushi. Although the plot isn’t interesting, the strategy is and as a simulation game it grows nicely in structure and challenge. The combat and troop management both feel very clunky and out-of-place in a game that feels more focused on city-building and advancing technology, but I am sort of a Sim City player at heart. This game likely needs no introduction, as if you haven’t heard about it you are probably living in a media blackout. FFXIII-2 follows up the already-incomprehensible FFXIII by adding time travel, a few new main characters, recruitable monsters, and so on. Pitched as a more open-ended FFXIII, it ended up being much of the same during my 15 hours playing. While the recruitable monsters are a welcome addition, they level up via items which is the most annoying way to enforce grinding I can think of. Recruiting is random as well, and the leveling system is incredibly linear and breakable for Noel and Serah. FFXIII-2 is also still largely linear in structure if non-linear in stage design. Others with good taste seem to have enjoyed it, but you really need to be in love with the FFXIII battle system to enjoy this game,and I was not. The 2nd Devil Survivor isn’t really a sequel to the first, but rather a sort of re-imagining with many of the same plot elements and mechanics. This time, the bizarre otherworldly invaders are evidently aliens rather than demons, and the friendship system is significantly more transparent and more like the Social Link system in the Persona games. I really enjoyed SMTDS2 for many of the same reasons I liked DS1. It is sort of a Persona-lite with tactical RPG battles, a larger variety of characters, and a more coherent and serious plot. SMTDS2 doesn’t really add anything especially new to the mix, but it refines many of the systems that made the first game enjoyable while making things more freeform. I hope the next game is more transformative, but Atlus seems to have come up with some good ideas for the series. From some of the same designers that brought Xenogears and Xenosaga, Xenoblade is a wholly unrelated game with considerably fewer religious references. 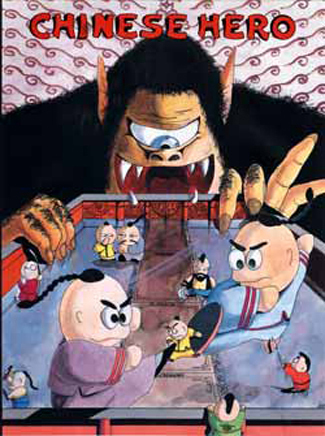 It’s a lengthy RPG that takes place on a pair of enormous giants, each with its own set of life. This was my favorite new game of 2012, and it was already years old when it came here after its release appeared impossible. 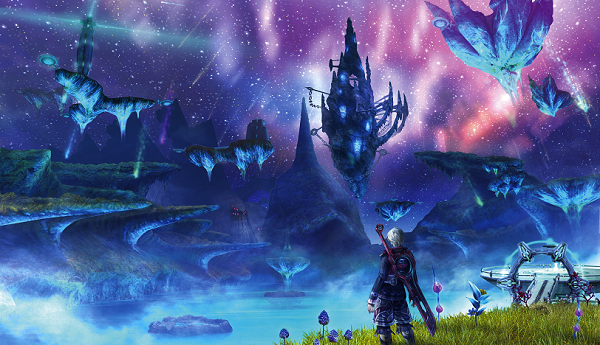 With incredible landscapes, fantastic music, and strategic gameplay, it’s incredible to me that Xenoblade almost didn’t make it. The voice acting is very well done, and a Japanese option is available (though I think the English is better). I really recommend picking this one up if you have the time for it. A Master of Orion 2 successor of sorts, Endless Space is a constantly-improving 4X game with various factions, a strategic but coherent tech tree, and spiffy space-battle cutscenes. I was really fascinated by Endless Space for a couple of weeks. 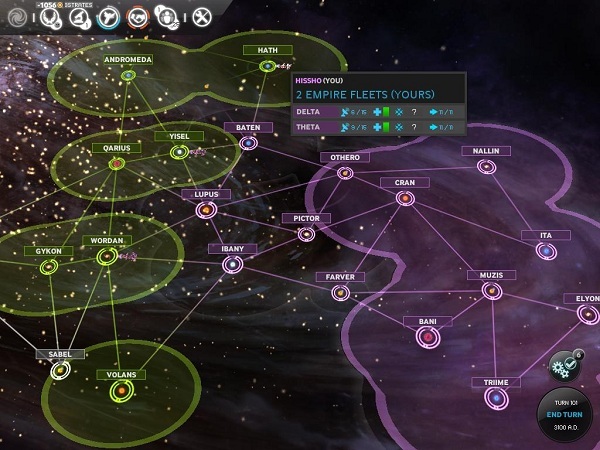 It offers almost exactly the same gameplay as Master of Orion 2, with significant balance changes to systems that were easily exploitable (e.g. the ‘Creative’ trait). The “Hero” system (governor/admiral) and the planets-per-star concept are also inherited from MOO and somewhat improved as well. Ultimately though, I found ES to be feel a little bit too “samey” after a few games when I played it last (before the most recent set of changes), partly due to the AI which feels a little bit too deterministic for my tastes. Capcom’s Monster Hunter series has been growing in popularity steadily. What could be a better idea than to blend Monster Hunter style gameplay with a WRPG world? Dragon’s Dogma combines this with a sort of helper-exchange system: players create a ‘Pawn’ or AI helper which they can share with other players (each player can have 3 total helpers at once). Pawns offer advice, change combat strategy based on what they have learned, and can have a distinct AI personality, voice-set, et cetera. Dragon’s Dogma was somewhat under-the-radar at its release, and many compared it to Dark Souls and Skyrim while it’s not really much like either. While it has the wide-open world of Skyrim, it has no scaling and much better combat. Nor does Dragon’s Dogma have the linear level design or Castlevania-style progression of Dark Souls. It doesn’t really sit comfortably in the JRPG or WRPG domain, but is nonetheless definitely an RPG. The Pawn system is actually much more entertaining than it sounds, since players will design and edit their pawns to make them useful.